Have you ever wished to visit one of the wonderful locations you have seen in your favorite movies? Well, there are several old movie sets that can be visited, whether we are talking about the hometown of Popeye, the hobbit holes of the Shire, the villages from the Pirates of the Caribbean or even District 12 from The Hunger Games. These locations have been specifically designed for movies and have remained long after the filming finished, either for tourism purposes or simply because it was cheaper for the producers to leave them behind rather than clean them up. The hugely popular series that ended last year did surprisingly have some real filming locations. 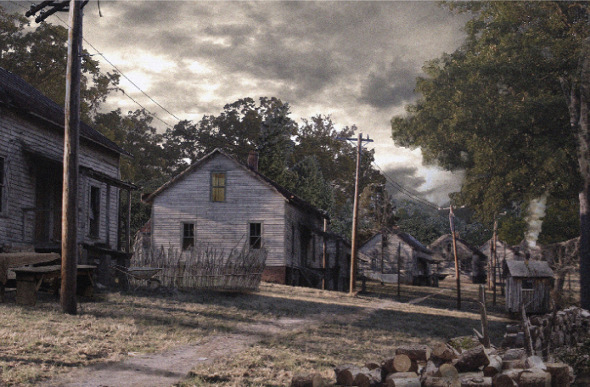 The home of Katniss Everdeen, District 12 was in fact Henry River Mill Village, situated in Burke County, North Carolina. Even though today it is considered a ghost town, the place once thrived from textile industry in the 1900s. Its abandoned homes, buildings and storefronts made the perfect set for the poorest of the districts in the fictional world of Panem. Today, the village is private property, but you can visit it by taking special tours. Another series that recorded an immense success and still has old movie sets that can be visited is Pirates of the Caribbean. 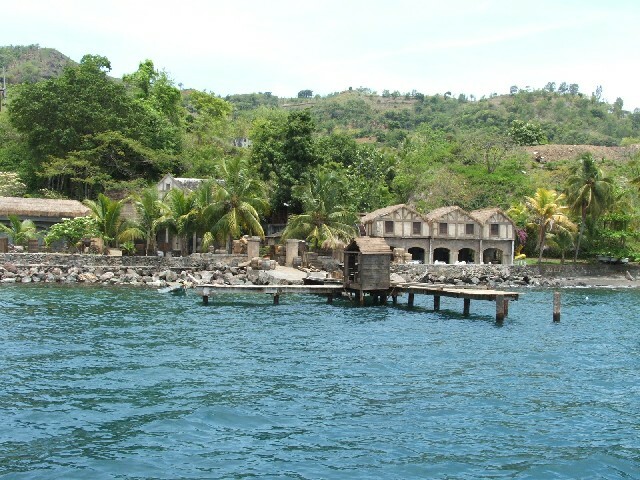 The first movie was mostly shot on St. Vincent island in the Caribbean Sea, more precisely at Wallilabou Anchorage. For the filming, Disney build numerous period marketplaces, docks, cannons and ships among others. Upon the departure of the crew, the set was not destroyed and can now be visited by tourists. Perhaps the most different movie of Tim Burton’s career, Big Fish told the story of a man from his birth to his death. A constant location throughout his life was the imaginary town of Spectre. The movie set was built near Montgomery, on the Alabama River. Its current state looks almost the same way it did near the end of the movie: old and abandoned. Most of it has been invaded by nature. The set is private property, but you can visit it for $3. Almost all of the incredible landscapes and sets of The Lord of the Rings trilogy and The Hobbit trilogy are still standing in New Zealand. Director Peter Jackson used the town of Matamata for the hobbits’ Shire, and thus built several gardens, a mill, a bridge and the famous hobbit holes. After the success of the first movie, fans and tourists started visiting the movie set. About ten years later, one of the old movie sets that can be visited was reused for the prequel of the story: The Hobbit trilogy. Today, fans can go on tours and get to see detailed replicas of the sets from Wellington Stone Street Studios, as well as The Green Dragon inn and The Shire’s Rest Cafe. Remember the expensive and impressive action scene from The Fugitive? The debris that resulted from the collision between a speeding freight train and a prison transport bus can still be seen close to the Smoky Mountain Railroad, which is in Dillsboro, North Carolina. Visitors can take a look at both the train and the bus involved in the $1.5 million scene that was shot in one take. The place is also part of the Tuckasegee River Excursion that takes visitors around the Great Smoky Mountains Railroad. A great part of the Schindler’s List movie was filmed in the real locations of the story in Poland, and they have become old movie sets that can be visited. However, Kraków-Płaszów was built specifically for the movie. 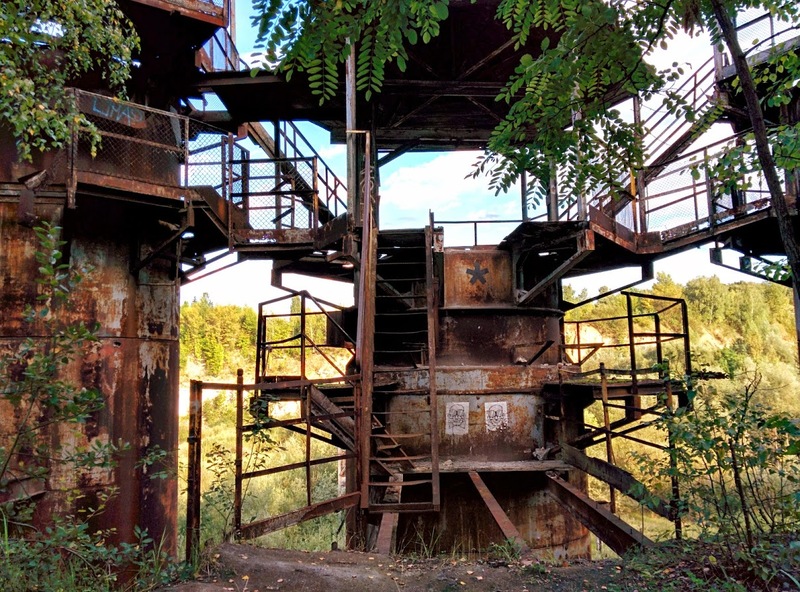 Situated in the Liban Quarry and quite close to Kraków, the set includes a concentration camp, a road, watchtowers and barracks that were built after the original plans and blueprints. Last but not least, Sweethaven is one of the old movie sets that can be visited. The little town of Popeye was built for the musical starring Robin Williams and Shelley Duvall in 1979. It took the crew of Disney and Paramount Pictures seven months to finish it and seven months to shoot the movie. 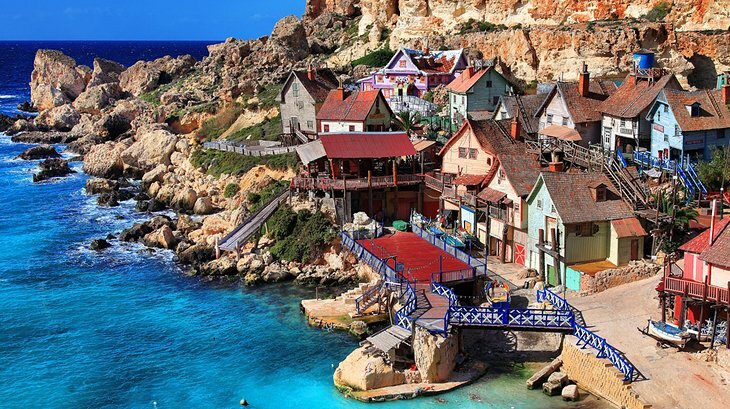 Sweethaven is located on the coast of Malta and is now named Popeye Village, serving as a family resort.